Last image of the all sky camera. Sun is rising. 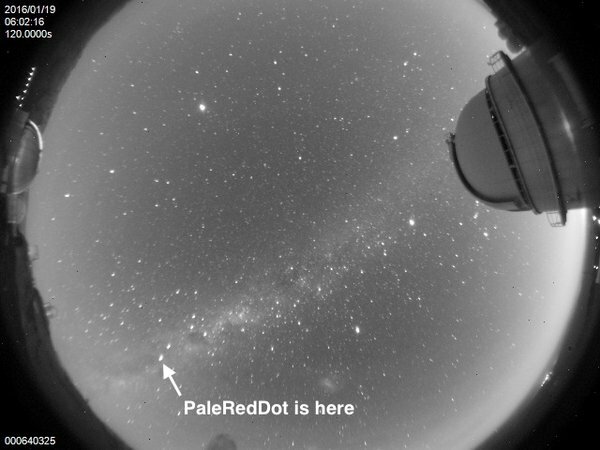 See you tomorrow #palereddot ! [09:21:45] Alexandre Santerne: Thanks for following us ! End of the night. 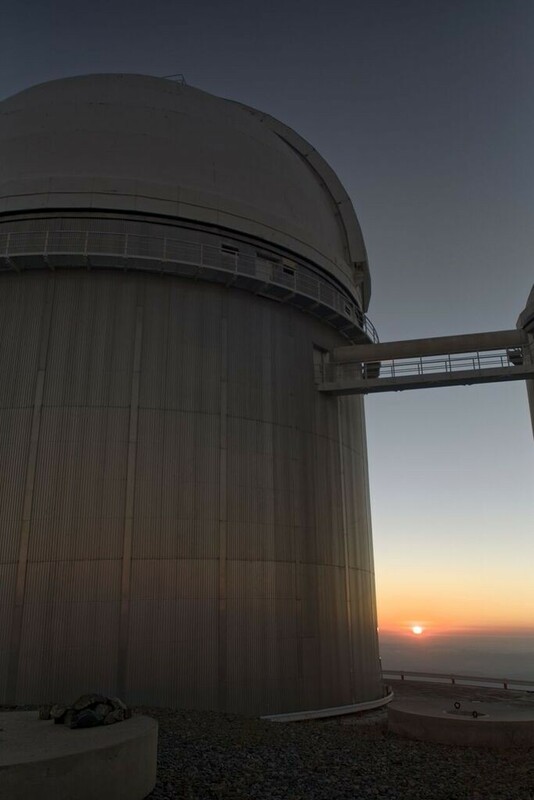 Time for astronomers observing #PaleRedDot to sleep. [09:21:03] Guillem Anglada Escudé: anything you want to add to your audience? 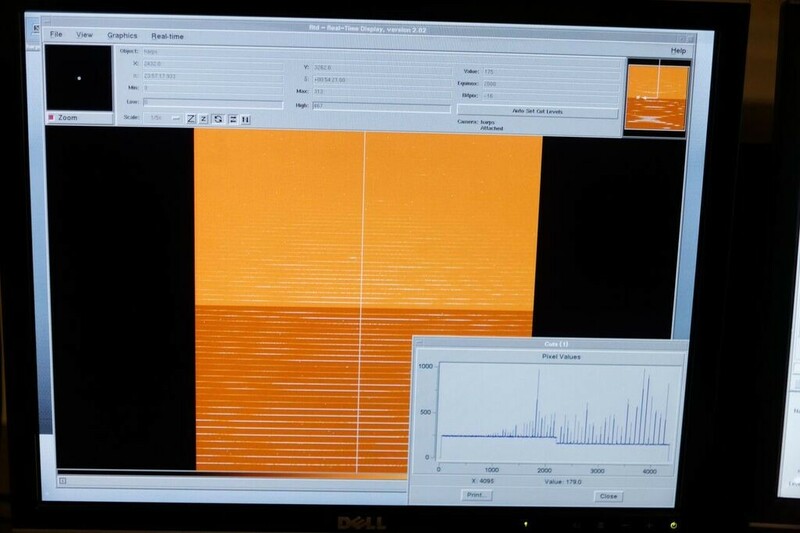 First spectrum of PaleRedDot from HARPS. Looks promising! [09:08:14] Guillem Anglada Escudé: yeah. Its good! Control screen. 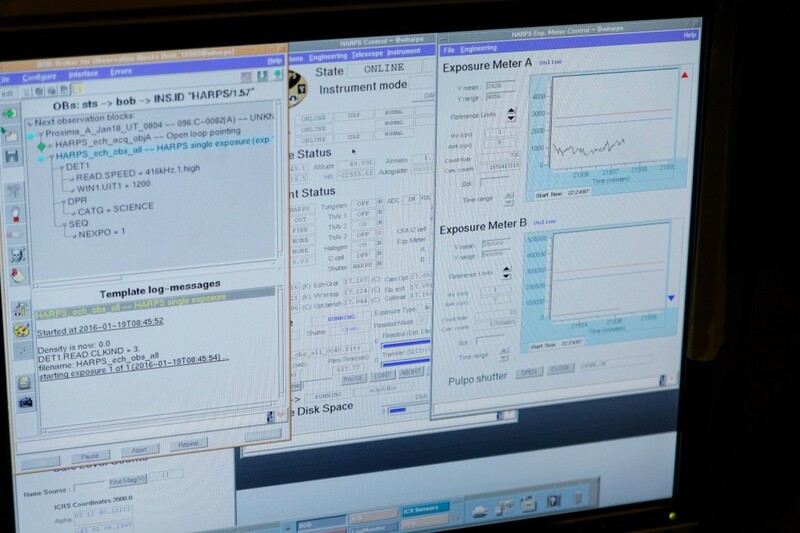 The image on the right is Proxima centered on the optical fibre at the telescope. UTC 08:32. Twitter is down (?!#@!) but we are still live on website! First spectrum in short. Go Alex! 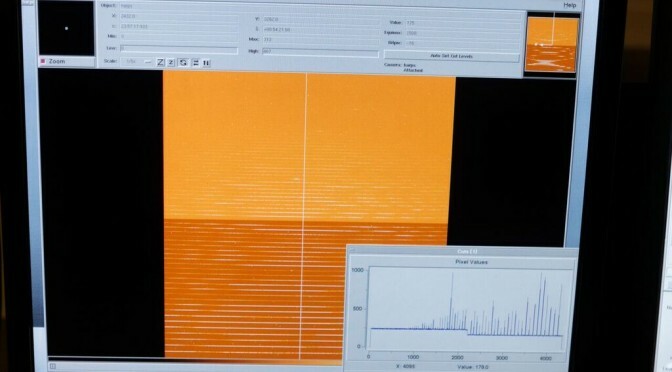 Follow Alexandre Santerne @eso La Silla as the first spectrum of Proxima out of 60 is obtained. Previous PostBladoniebieska kropka, bladoczerwona kropka, bladozielona kropka,…Next PostGwiazdy! 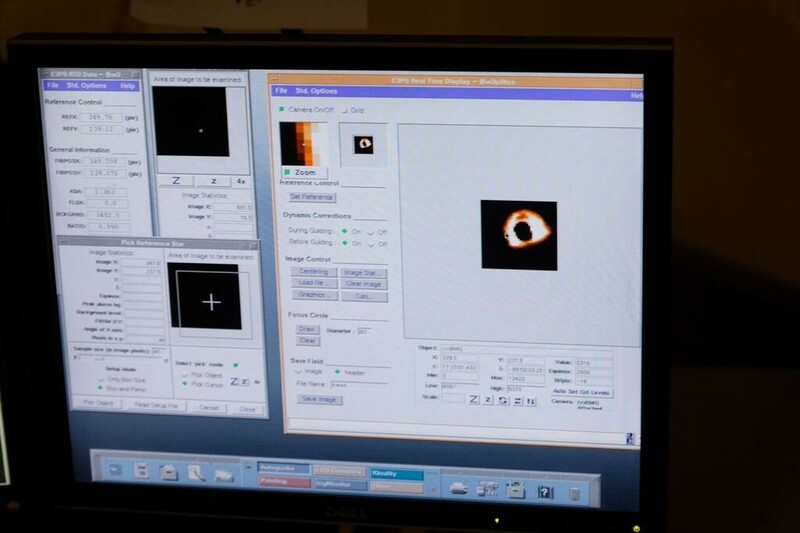 Cool:D So how long do you think it’ll take to start seeing signs of planets? After processing the observations, it won’t take long if there indeed is something to be found. But to be honest, that’s pretty much as accurate as we can be at the moment.